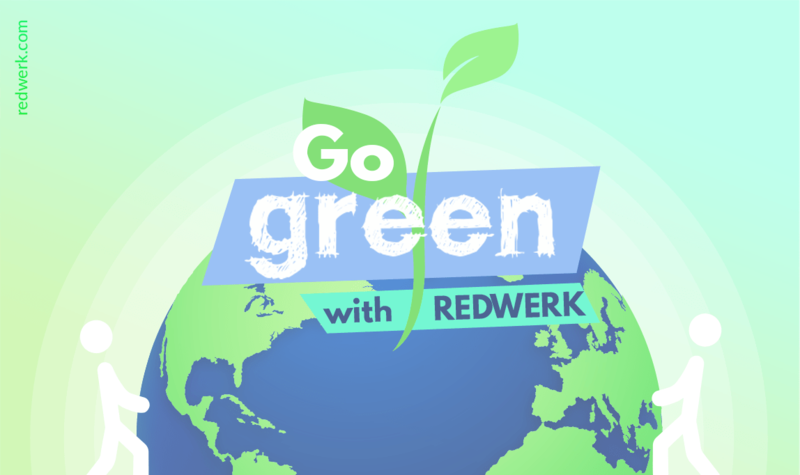 Redwerk cares not only about technological solutions that improve the world but also supports eco-initiatives to make our world cleaner. Using the saying “If you want to change the world – start with yourself” as a guide, we began turning our office into eco-friendly space. Celebrating World Environment Day we want to share Go Green action plan for Ukrainian companies, with approximate pricing and organizations that improve the environmental situation in our country. Feel free to use this plan on your way to sustainable office and lifestyle. Why we do this: Plastic products are the main polluters of the environment because the decomposition of this material lasts for hundreds of years. A significant amount of plastic debris is not recycled and accumulates in nature, harming living creatures, especially sea life, that confuses plastic with food and perish. As Redwerk sponsors everyday lunches for its employees, we utilized lots of plastic on a daily basis. How we do it: We stopped using disposable plastic food containers and replaced them with individual reusable lunch boxes made from food plastic for every employee. Also, we bought a dishwasher for everyday washing of these lunch boxes, and a set of ceramic cookware for heating food in the microwave oven. How much it costs: According to our calculations, we spent nearly $5000 on plastic ware last year. This year, we spent only around $1500 on the purchase of a dishwasher, lunch boxes and ceramic cookware that we will use all year round. Establishing this eco-initiative allowed us to save almost $3500 and do not pollute the environment with kilograms of disposable plates and boxes every day. Why we do this: In the modern world, it is difficult for a person to live without household chemicals, but not all understand that using them is very harmful to both nature and humans. For example, the remains of dishwashing detergent can get into food and cause food poisoning. We care about our employees, so we can’t allow this to happen. How we do it: We started to use eco liquids for cleaning, washing tableware and glass. How much it costs: Eco-friendly cleansers turned out to be twice as expensive, but you have to see the numbers: $1 per month instead of $0,5. Not a big deal for a budget, but a leap towards fewer chemicals around. Why we do this: Deforestation and the shortage of paper processing plants remains one of the world’s global problems. Every year near 15 billion trees are cut down, and hundreds of hectares remain deforested for many years. How much it costs: We managed to save almost a half of monthly paper products costs reducing them from $120 to $60. Why we do this: In Ukraine waste separation is still an uncommon thing, and trashing everything together makes us one step closer to an ecological catastrophe. more than 40 million trees can be planted on territories taken be waste deposits in Ukraine. How we do it: We started sorting last year. Turned out there are only a few recycling organizations that work with households and offices. That’s how we found “Color bins”, they provide us with containers for sorting of paper, plastic, metal, glass, lids, and batteries and clear them up for free. How much it costs: This eco-initiative is absolutely free and takes no time at all! Every company can and should take advantage of it in their office! Why we do this: Most of parks and squares in our cities, where children are playing and people spending their time, are polluted with all sorts of garbage and need new plants and trees. If everyone will clean at least one square meter of his city and plant one tree, we could make our hometowns much greener and cleaner. How we do it: Together with our recycling partners “Color bins” we take part in local trash bashes every now and then. How much it costs: It’s free! And moreover, it’s a great team building activity, especially for our not-so-active IT life. Why we do this: Homeless animals is a big problem in our country, as we don’t have enough animal shelters to take care of them. But a lot of well-wishing people try to feed these stray animals or help them as much as they can. In Zaporizhzhia, the leading public organization that helps animals is a center of rehabilitation for injured and seriously ill animals “Give a paw, friend”. It exists only at the expense of members of the organization and helping citizens, and always happy to receive any food or meds. How we do it: As we have daily lunches for employees, there are always remains of food which we do not throw away, but collect and send to the center regularly. How much it costs: It’s completely free. With our eco-initiatives, Redwerk wants to show that making work and life environmentally friendly is much easier and not as expensive as it seems, and the majority of initiatives are totally free. If you don’t know where to start, we will be happy to share our detailed reports and experience, recommend suppliers and show you that being “eco” is more profitable and helpful than you can imagine!